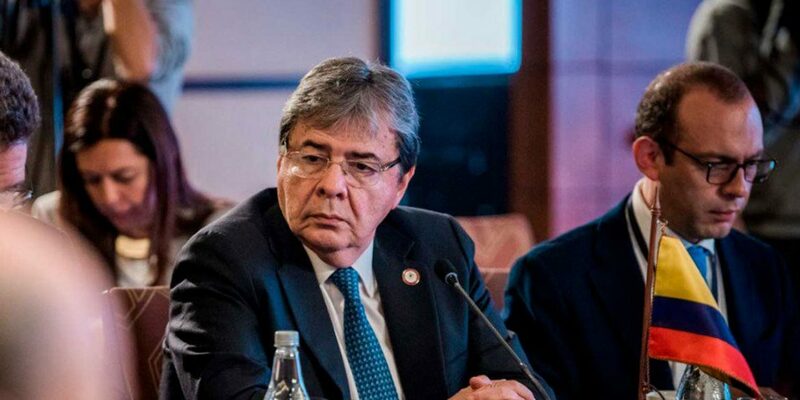 Carlos Holmes Trujillo is Colombia’s foreign minister and a dynasty politician who inherited much of his initial political clout from his powerful father. Trujillo was born in 1951 in Cartago, Valle del Cauca, and is named after his late father, the Liberal Party mogul, attorney, congressman and diplomat Carlos Holmes Trujillo. Trujillo Sr. taught his two sons “to love and respect the principles of social democracy,” according to his son Jose Renan, who was forced to abandon politics in 2008 amid mounting corruption allegations. Both Carlos Holmes and Jose Renan followed in their father’s footsteps by first attending law school before embarking on careers in the country’s exclusive political system. Thanks to his father’s influence, Trujillo got his first public position at 25 when he was appointed consul in Tokyo. The job allowed him to study international business in the Japanese capital. He returned to Colombia in 1983 to become Finance Secretary in Cali and the president of Colombia’s metal federation. When Trujillo (R) was elected mayor of Cali in 1988, the city was almost entirely controlled by “the gentlemen” of the Cali Cartel. Before 1990, he had already made it to become mayor of Cali and the vice-president of his father’s Liberal Party. As mayor, he founded the Colombian Federation of Municipalities, automatically becoming its first director. In 1991, Trujillo took part in rewriting Colombia’s semi-democratic constitution after a peace deal with the M-19 guerrilla group that violently sought to end the nepotist system that had been so beneficial to the Trujillo family, but had left the country at war with itself. Under the new constitution, Trujillo became the Education Minister of Cesar Gaviria, who was elected president in 1991 after the assassination of legendary Liberal Party leader Luis Carlos Galan. Gaviria’s successor, Ernesto Samper, briefly appointed Trujillo peace commissioner in 1994 and ambassador to the Organization of American States in 1995, but then the DEA revealed that Samper had been elected with the financial help of the now-defunct Cali Cartel. “Process 8000” spurred an unprecedented crisis in both the government and the Liberal Party. The US revoked Samper’s visa and the criminal investigation that followed spurred the resignation of Interior Minister Horacio Serpa, who allegedly had helped barter the Cali Cartel’s financial support. Trujillo was called back from Washington DC to replace the disgraced minister and help Samper survive “Process 8000,” the criminal investigation that led to the incarceration of another dynasty politician, Defense Minister Fernando Botero. Despite being a member of the discredited Samper clan, Trujillo was appointed ambassador to Austria after the election of Andres Pastrana (Conservative Party), and was sent to Russia in 1999. After the election of President Alvaro Uribe in 2002, Trujillo was left without a government job for the first time in his career, but not for long. In 2004, he was appointed ambassador to Scandinavia and in 2006 he was appointed Colombia’s mission chief before the European Union, a position he held until 2011 when Uribe’s successor, former President Juan Manuel Santos, sacked him. By then, Uribe, his family and his many of the former president’s political allies were neck deep in legal trouble over corruption and the “parapolitics” scandal that had revealed extensive ties between politicians and paramilitary death squads. On his return to Colombia, Trujillo teamed up with Uribe in opposition to Santos and the peace talks that the liberal-leaning president was preparing with the FARC, the guerrilla group that had been trying to overthrow the state since 1964. Trujillo and Uribe, together with dynasty politicians like Francisco Santos, Oscar Ivan Zuluaga and Juan Carlos Velez, began forming the “uribista” Democratic Center Party in 2013 and tried to defeat Santos and end the peace talks in the 2014 elections. With Trujillo as running mate, “uribista” candidate Oscar Ivan Zuluaga failed to beat Santos, but the Democratic Center was able to establish itself as the fourth biggest and most important opposition party in Congress. With a new generation of dynasty politicians, like Ivan Duque, and older politicians who had survived the parapolitics scandal in Congress, Trujillo dedicated himself to managing the new party. For four years, the party fiercely opposed Santos and the country’s ongoing peace process. The senior politician was able to return to power in 2018 when Uribe put forth Duque as his candidate, defeated the unpopular former mayor of Bogota, Gustavo Petro, and Trujillo was appointed foreign minister.